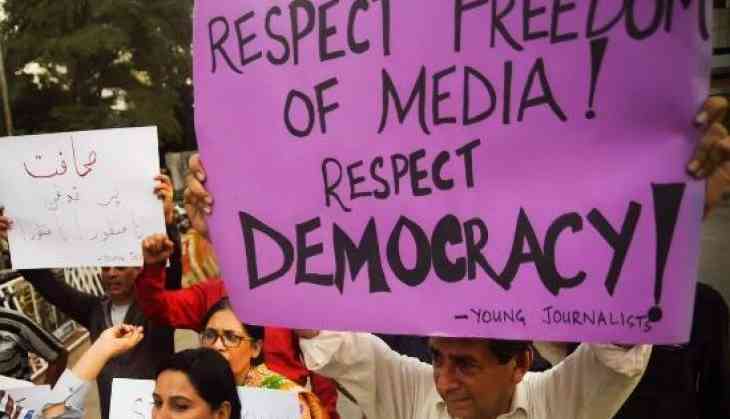 Pakistan is widely regarded as one of the most dangerous countries in the world for activists and reporters. The country's powerful and secretive security establishment, which includes the much feared Inter-Services Intelligence (ISI) and the military, has long used abductions to silence anyone who dares to question or expose their actions, claims Kiran Nazish, an independent journalist covering South Asia and the Middle East, adding that she is of the view that the army is now waging what she calls "a quiet war on journalists". According to the Human Rights Commission of Pakistan, nearly 10,000 people have gone missing in the country since 2001, with nearly 3,000 still unaccounted for. In 2016 alone, there were 728 disappearances. The HRCP and human rights activists say these numbers are significantly under reported. This matters, of course, for ordinary Pakistanis, who can't speak freely about their government. It also affects Pakistani lawmakers, whose ability to craft legislation is hampered by the lack of information, Nazish says in an article that she has written for the web site www.vox.com. According to Nazish, these enforced disappearances have real consequences for the rest of the world as well, and recalls U.S. President Donald Trump's first tweet of 2018, when he directly exposed Pakistan's failure to assist Washington in its global war on terror. "The United States has foolishly given Pakistan more than 33 billion dollars in aid over the last 15 years, and they have given us nothing but lies & deceit," he tweeted. "They give safe haven to the terrorists we hunt in Afghanistan, with little help," he added. According to Nazish, Trump's tweet speaks of a larger issue i.e. that Pakistan is battling its own war on terror. "Many parts of the country, including Waziristan, on its porous border with Afghanistan, have turned into safe havens for militants and terror groups. The Pakistani military has been accused of working closely with and even aiding terrorists there. To many, Pakistan is a black hole of information due to the lack of reporting and independent voices on the ground. Not knowing what actually is taking place not only complicates global efforts to counter terrorism, but also puts the region and the world at large at risk," she says. She further asks how will Washington verify Pakistan's cracking down on terrorist groups like the Taliban and the Haqqani Network before agreeing to revoke the suspension of USD 900 million in security aid to Islamabad. "It's important to note that Pakistan's government, although democratically elected, does not have the power to control or influence the far-reaching and powerful military establishment. Pakistan's intelligence agencies hold so much power that even the police can't touch them. And despite criticism and warnings from international groups and pledges by the government of Pakistan, disappearances seem to be getting worse," she adds. Pakistan's Commission on Inquiry on Enforced Disappearances received nearly 300 cases of alleged enforced disappearances from August to October 2017, by far the largest number in a three month period in recent years. And in early 2017, three Pakistani bloggers who were critical of the government disappeared for weeks, without a trace. When they were released, all three described torture and sexual abuse at the hands of Pakistani security personnel. "Anyone who reports on Balochistan, or terrorism in Pakistan, knows that the military agencies will come after them," Khushal Khan, a research officer at the HRCP, told Nazish. Waziristan, the restive region on the Western border with Afghanistan, is one of the most under reported places in the country. There's almost no information that hasn't been vetted or censored by the military going in or out. The Pakistani military has claimed several times that they have defeated terrorism in this area and forced out the terrorists - but the military refuses to let journalists or NGOs visit the area to verify their claims. The fact is that anyone who attempts to report on what's happening in Pakistan now runs the risk of disappearing. "When I was investigating abductions of civilians from Waziristan in 2015, my sources were threatened and told that they "should not speak to journalists," Nazish, a former senior fellow at New America, says.